Bruce played the song two times during the Christmas Holiday shows in 2001 at the Convention Hall, Asbury Park, NJ, always together with Bruce Hornsby. 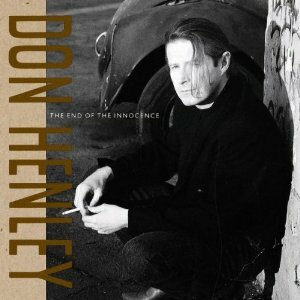 "The End of the Innocence" is the lead single and title track from Don Henley's third solo studio album of the same name, released in 1989. Henley co-wrote and co-produced the song with Bruce Hornsby, who also performed piano; both artists perform the song live in their respective concerts. The black and white music video for the song was directed by future film director David Fincher (Seven, Fight Club) and earned Henley an MTV Video Music Award for Best Male Video in 1990. Remember when the days were long and rolled beneath a deep blue sky. Didn't have a care in the world, with mommy and daddy standin' by. But "happily ever after" fails, and we've been poisoned by these fairy tales. The lawyers dwell on small details since daddy had to fly. But I know a place where we can go that's still untouched by men. We'll sit and watch the clouds roll by and the tall grass wave in the wind. You can lay your head back on the ground, and let your hair fall all around me. Offer up your best defense, but this is the end. O' beautiful, for spacious skies, but now those skies are threatening. They're beating plowshares into swords for this tired old man that we elected king. Armchair warriors often fail and we've been poisoned by these fairy tales. The lawyers clean up all details since daddy had to lie. But I know a place where we can go and wash away this sin. We'll sit and watch the clouds roll by, and the tall grass wave in the wind. Who knows how long this will last? Now we've come so far, so fast. But, somewhere back there in the dust, that same small town in each of us. and let me take a long last look before we say goodbye. Just lay your head back on the ground and let your hair fall all around me.